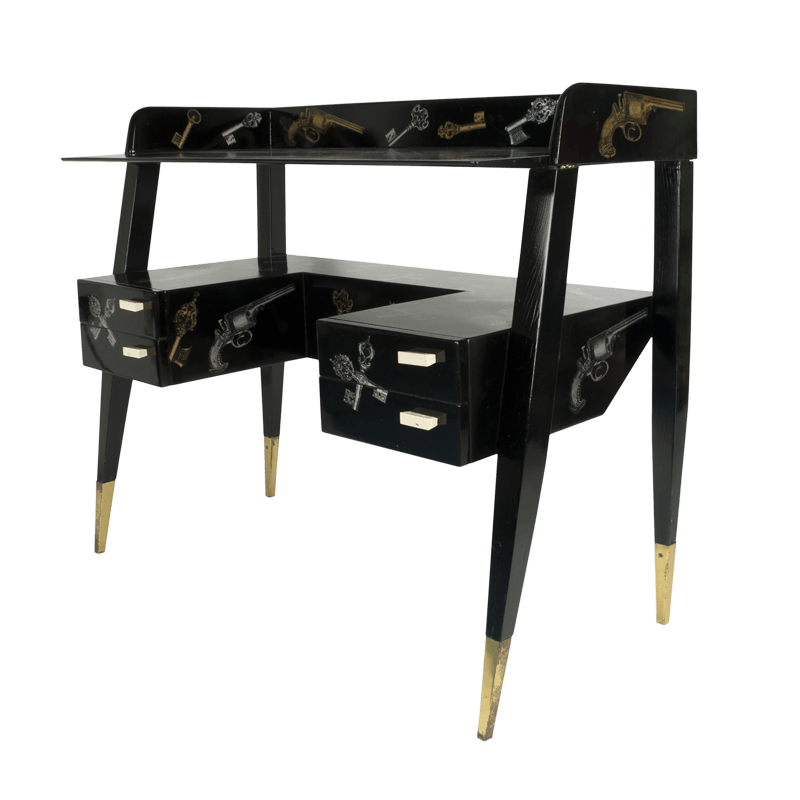 A Fornasetti wooden desk is the best complement a studio can hope for. The striking details and intrinsic beauty of Fornasetti’s illustrations turn an otherwise predictable object into an exclusive corner of imagination. Details — colour: gold and silver on black, width: 92cm, height: 85cm, depth: 48cm.